It’s a beautiful day out in lovely Taree and you decide to treat yourself to an ice-cream…….you take the first mouthful and you’re hit with a jolt of extreme pain. OUCH! Maybe this sounds a bit too familiar? Many of us have experienced a sensitive tooth at some time in our life and perhaps you are living with one right now. I do have great news though, tooth sensitivity is usually easy enough to fix if it’s treated early. Each tooth has a hard enamel crown but every one of our teeth is hollow. Inside this hollow space is a group of blood vessels and nerves that connect to the main nerves of the jaw. These nerves, if they become exposed, cause us pain. ✔️ So, what are the causes of Sensitive Teeth? There are several reasons and causes for sensitive teeth. 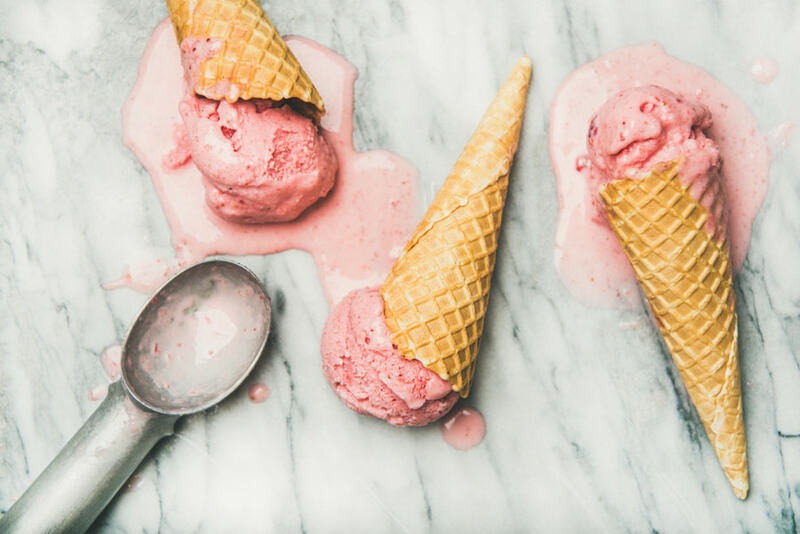 Firstly, many people believe that only cold sweets like ice cream can trigger tooth sensitivity. That is not entirely true. When a sensitive tooth meets any food that is hot, cold, sweet or sour, it can trigger the nerves and cause that sudden piercing sensation in your teeth. You may also think that it is a cavity or a hole that causes tooth sensitivity – and yes, you would be correct. But that’s not the only reason. Tooth sensitivity occurs when the tooth enamel erodes or wears off gradually, which exposes the dentine (the softer material under the enamel). And when the dentine comes in direct contact with something it doesn’t like, it is agitated and that’s when it sends you a sharp jolt of pain. Tooth enamel can wear off due to brushing too hard, teeth grinding, gingivitis, and even receding gums. All of these things can leave you susceptible to a sensitive tooth. – a high acidic diet which corrodes the enamel – so keep those high sugary soft drinks and sports drinks in check. You may have been living with a sensitive tooth for quiet some time and have gotten used to the discomfort and avoiding certain foods… but if you don’t take preventative action, trust me, it will get worse. And if it’s left untreated, it can lead to major diseases like infection, swollen and bleeding gums, and gingivitis. The best way to fix this problem is to get professional advice from your dentist. If you do have tooth sensitivity you must come and let us check it out for you. ✔️ What are the Treatment Options? It’s best if we treat you before the small symptoms become larger complications, which can become more painful and more expensive to fix. – Offering special toothpastes which can help with sensitive teeth. We can also apply de-sensitising products as a more generalised sensitive-teeth procedure. Maintaining good oral hygiene is, of course, VERY important. I’m going to say this again – brush your teeth twice and floss at least once daily. Use a soft bristle toothbrush. And remember, don’t brush too hard. It will wear out the enamel faster. Now that you have the answers to your sensitive tooth issue, please don’t let it fester. There is always a cause, so be sure to come and see us so we can identify it and fix the issue. At Taree Dental Care, we can also take a look at your diet, your dental health care routine, and family history to determine where your sensitivity comes from. Give us a call on (02) 6550 0960 to make an appointment. There is no need for you to go on suffering with a sensitive tooth.